Next generation Hallyu idols MYNAME met their fans on the streets. MYNAME, who recently ignited the fire in their female fans’ hearts with their comeback “Just Tell Me”, held a guerrilla wing car concert on the streets of Hongdae on the 10th at 7pm and 8pm. With MC Dingdong starting the guerilla concert, MYNAME performed their recent comeback track “Just Tell Me”, stopping passers-by in their tracks. 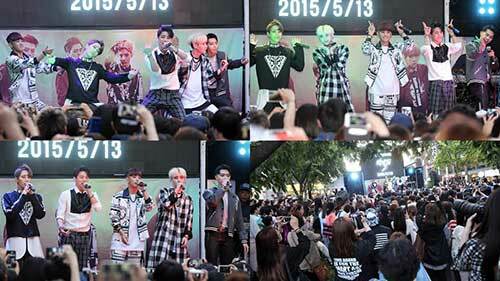 Riding on the atmosphere of the song, MYNAME greeted the public with “Hello. 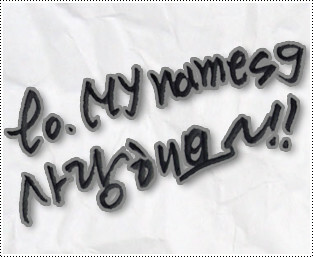 We are MYNAME. We are able to stand on this stage tonight because of this song,” and proceeded to perform their previous album’s track “Too Very So Much”. MYNAME had a fun time giving out their signed CDs to lucky audience members and took photos with them. This guerrilla concert caused a blockage on the streets, bringing in a swarm of passers-by including foreigners, showing the power of the next Hallyu Idols. Meanwhile, MYNAME is promoting their newest song “Just Tell Me”, which will be released on the 13th on various music sites. This entry was posted on May 16, 2015 by mynamesg. It was filed under News .